› Frontal pocket for bike helmet. 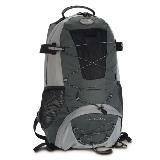 USAGE: Perfect pack for trekking, weekend hiking and fell walking. 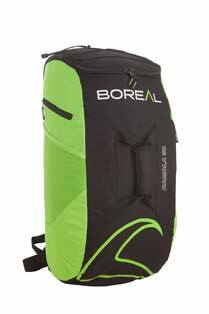 Externally the pack features a combination of lightweight and durable 30mm ripstop Polyester and 600D Polyester, with a ventilated 3D honeycomb mesh back and ergonomic shoulder straps for comfortable carrying. 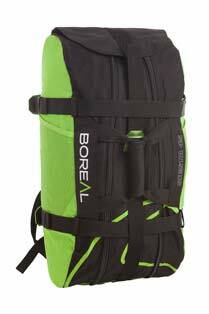 The highly breathable Boreal Air-Back system keeps your back cool. 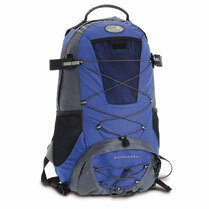 Detachable hip and chest straps help stabilise the pack when fully loaded. On the inside, the Tanzania features two compartments for easy organization of equipment. 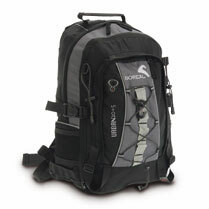 Soft mesh side pockets and frontal pocket allow quick access to essential items, and elasticated compression cords allow external storage for items such as jackets or helmets. Tanzania includes a detachable mobile phone case, and is ready to use with hydration systems. For torrential downpours, the pack features a reflective rain cover, which can be concealed in a low zip pocket after use. Twin ice-axe loops allow the Tanzania to be used even on mountainous winter walks.